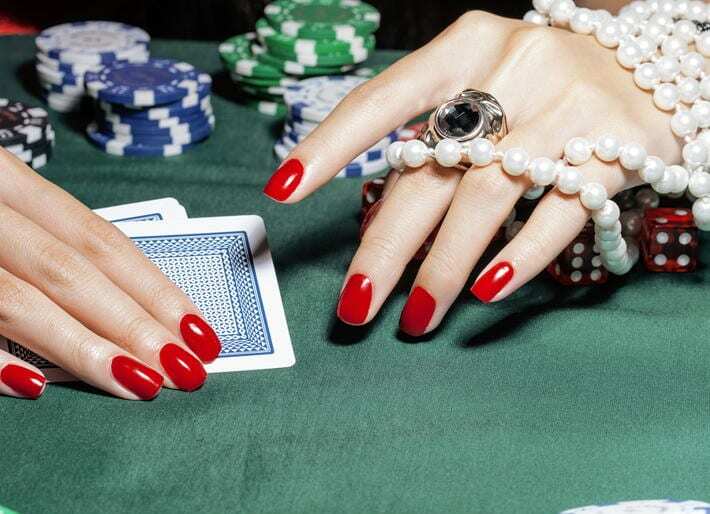 Everyone who has ever placed a bet in a casino knows that the house always wins. It’s a cliché about the industry, but it’s also true. The nature of gambling is such that you might get a big win every now and then or even a consistent run of small wins that mount up, but keep playing for long enough and the fortune will start to turn against you. It’s why gamblers like to talk about things like ‘hot streaks’ and get uppity if they have someone near them that they think is bringing some bad karma. From the point of view the casino owners and managers, the don’t mind someone hitting a hot streak for a little while as they know that somewhere else in their premises there will be someone who can’t seem to hit a win. 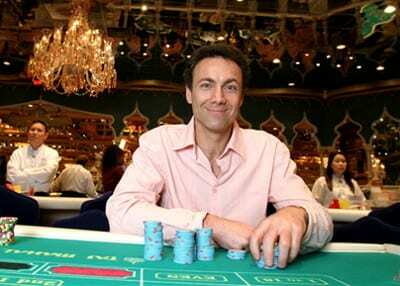 Gamblers tend to throw good money after bad, which suits the casinos just fine. Yet what happens when someone rocks up and they never seem to lose? Pit managers and the like won’t leave it for too long before they start to get suspicious, with more than a few punters over the years going beyond what’s allowed in order to tip the house in their favour. One of the most fascinating stories when it comes to the world of cheating the casino happened in 2012 when an American poker player called Phil Ivey used a technique known as ‘edge-sorting’ to win £7.7 million at a casino in Mayfair. The story goes that Ivey and another card player named Cheung Yin Sun persuaded the croupier at Crockfords Club in the London district of Mayfair to rotate the most important cards in a deck when playing Punto Banco, using the excuse that he was ‘superstitious’. This allowed him to give himself what is known as ‘first card advantage’ in the variation of baccarat. 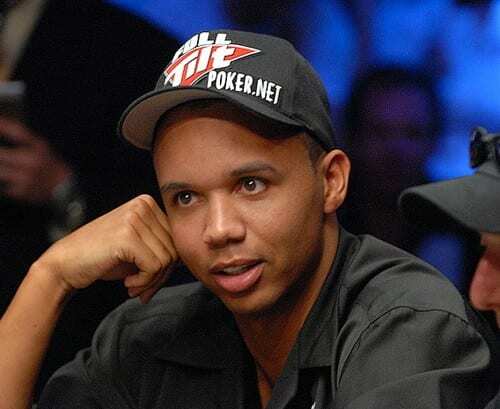 After winning the £7.7 million Mr Ivey, a ten-time World Series of Poker winner, was told that his winnings would be wired to him where he lived in Las Vegas. Though his initial stake of £1 million was returned to him, no winning were ever forthcoming. Genting Casinos UK, who own the Crockfords Club, felt that his edge-sorting was an illegal technique and refused to pay out. As you might expect over such a large sum of money, Ivey took the company to court to reclaim his winnings, but the court decided against him. What makes the case so fascinating is the fact that it boiled down to what was perceived to be ‘cheating’ by the judges involved. Whilst Ivey and his accomplice did indeed request that the casino use a specific brand of card, they didn’t actively mark the cards up themselves, simply taking advantage of the fact that the backs of the brand of cards that they asked the casino to use had subtle difference that betrayed what was on the front. This meant that the element of luck was removed from the game for Ivey, which is what Genting Casinos feels differentiates this case from any other. One of the judges from the UK High Court, which ended up having to look at the case, Judge John Mitting, said that by swaying the odds in his favour Mr Ivey gave himself ‘an advantage which the game precludes’. A lawyer from Pennsylvania named Kyle Sammin disagrees, however, stating that the casino ‘allowed the request, and thereby exposed themselves to Ivey and Sun’s advantage’. Whichever side of the argument you find yourself on, it’s an intriguing discussion. If a gambler doesn’t in any way interfere with the cards being used and simply takes advantage of their knowledge of the brand, is that all that different from a poker player who knows an opponent has a ‘tell’? 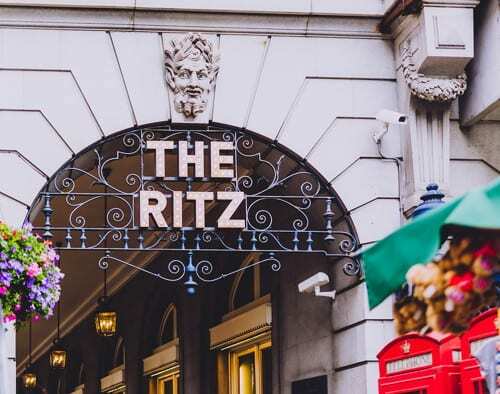 If Phil Ivey was unfortunate to be labelled a cheat, the reverse can perhaps be said about a trio that went to the Ritz Casino in London and used a laser scanner to win £1.3 million on roulette. The three Eastern Europeans entered one of the city’s most classic-looking casino and pulled off a very modern scam, using a laser scanner inside a mobile phone to judge the speed at which the ball was travelling and the wheel was spinning in order to predict roughly where the ball would end up. The two Serbian men and one Hungarian woman entered the casino one night and won £100,000 using the method, then returned the following night to win a further £1.2 million. As always with such a big win, the casino paid them a chunk in cash and wrote a cheque out for the remaining amount, but contacted police after watching videos back and growing suspicious that they had used a device to give them an advantage over the house. The casino believed that the trio had used a scanner inside the mobile phone to send information back to a computer, which then calculated the likely landing point of the ball when the spin reached its conclusion and sent that information back to the mobile phone in time for them to place a bet. 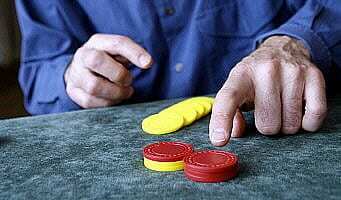 Many in the casino world believed it was impossible, given that they would have had around fifteen seconds to do all of that from the moment the ball left the croupiers hand. It’s possible that the doubters were right, too, given that the Metropolitan police launched a nine month investigation but eventually allowed them to keep their winnings as there was no case to answer. That was, perhaps in part, because the case occurred in 2004, which was before the Gambling Act of 2005 was passed and saw the aforementioned rule about ‘cheating’ entered into law. Indeed, many believe that this case was part of the reason why the government decided to rush through the new legislation in the first place. If you were to draw up a list of the biggest cheaters ever to have taken on the casinos then Tommy Glenn Carmichael would very much deserve to be near the top. Born and raised in Oklahoma in the 1950s, Carmichael was at something of a low ebb when he was given a slot machine and a cheater’s tool by a friend of his. At the time he was making a living working in a TV repair shop, on account of the fact that he was reasonably talented with electronics. He figured that it was worth seeing whether or not the cheating tool could work in the biggest gambling city in the world, so he disappeared off to Las Vegas. 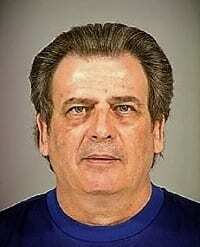 The first thing that he did was to hit a 5-cent machine, taking away around $35 in nickels for his trouble. He used his new tool on a number of different machines around the city, but eventually the powers that be started to notice that something wasn’t quite right and spotted Carmichael as their perpetrator. The police found him and didn’t believe that the tool was something that he used to start his car, so he was arrested and eventually sentenced to five years in prison. You would be forgiven for thinking that that would spell the end of his career as a petty criminal, but you’d be wrong. Instead, Carmichael met Mike Balsamo and the pair decided to form a group of people who would make it their mission to cheat casinos using slot machines as the tool to do so. Even when video poker and slot machines came into operation, using microprocessors and random number generators as the security measures, Carmichael wasn’t dissuaded from his task. Instead, the group worked hard to figure out how they could beat the new system, with Carmichael buying a video slot machine of his own and spending six months getting to know how it worked. He designed something he called the ‘Monkey Paw’, which could trip the payout switch underneath the slot machine and have it pay out at a rate of $1,000 per hour. As the technology kept changing, so did his tools to defeat it. Every time he came up with something new he started to sell it to fellow slot cheats. In 1999 Carmichael and his group of associates were arrested, with the authorities believing that they had made more than $5 million over the years. Their exploits were limit just to Las Vegas, either, with slots hit in Atlantic City, New Orleans and when Carmichael and Balsamo went on cruises of the Caribbean. 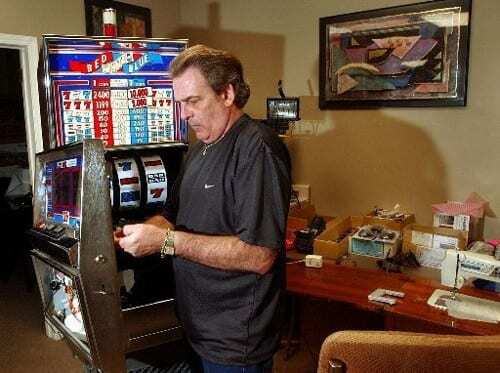 After his release from jail the second time Carmichael decided to ‘go straight’, creating devices that would protect casinos from similar scammers. Perhaps somewhat unsurprisingly they were reluctant to trust him and the Nevada Gaming Commission instead chose to add him to their Black Book of people that were not allowed to enter casinos in the state. When it comes to cheating the casinos, some people have done it in a way that requires no specific skill, per se. Anyone who had the technology could have used a laser device on a roulette wheel or tricked a slot machine to pay out, for example. When it comes to Richard Marcus, however, there’s a degree of panache and confidence that few would have the skill to imitate. His story as a scammer began when he was younger and reportedly lost his baseball collection to friends who had scammed him, leaving him intrigued about how they’d done so. He was always interested in gambling and when he won $30,000 at the racetrack decided the time had come to try his luck in Las Vegas. His luck, however, had run out and he lost his money playing baccarat. He took a job at the Four Queens as a baccarat and poker dealer, learning more about how the game worked from the inside. He was approached one night by a man named Joe Classon who wanted him to join in on a scam of his, which resulted in Marcus setting the card deck up in such a way that the dealer who took over from him would be dealing out of a fixed deck without even knowing it. 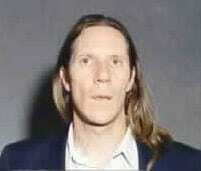 The reportedly earned more than $20,000 using the method. It was once he’d gone his separate way from Classon that things really started to click for him, however. He came up with an ingenious plan to slant his chips in a specific way so that he could hide $5,000 chips underneath ones worth $5. This meant that if his bet on the likes of roulette, blackjack and baccarat won he could reveal the $5,000 chip, but if it lost he could use sleight-of-hand to swap it for another $5 chip and therefore only lose $10. As with all great cons, the powers that be eventually caught on and Marcus retired from conning the casinos and started writing books about his exploits instead. As slot machines became more and more dependent on technology to operate in a manner that would keep them secure from fraudulent activity, the one thing that those in charge didn’t take into account was what would happen if it was the designers themselves that were trying to con them. Born in 1956, Harris was a computer whizz and was hired by the Nevada Gaming Commission as a technician and computer programmer. Part of his job saw him in charge of looking at the slot and keno machines before they were put on the casino floor to ensure that they were working properly. It was when he was looking at these various machines that Harris noticed they were being powered by Erasable Programmable Read Only Memory chips. That meant that he could erase the programme that had been installed on them and instead put his own programme onto them; a programme that would allow a player to guarantee themselves a jackpot win if they entered a certain sequence of buttons whilst they were playing the game. The key to Harris’ success was in the fact that he was the person authorising the chips before they were put onto the casino floors, so anyone checking that the right chips were inserted into each machine would be checking that the slots had Harris’ own chips in them. Harris enlisted numerous associates to help him win big, knowing that he couldn’t win on the machines himself. Family members, friends and even his ex-wife all went into the casinos to win low-level amounts that would fly under the radar of the casino’s watching eyes. Eventually he was caught, pleading guilty to four counts of cheating slots and receiving a seven years in prison as a result. He had been working for the NGC for twelve years by the time they figured out what he’d been up to, but as a result of his cheating he was Back Booked in both Nevada and New Jersey. Perhaps what makes the story of Ida Summers unique is the fact that she took on the casinos on her own, without a team to help her out. She was also reportedly something of a beauty, which might help to explain why she got away with her particular scam for as long as she did. The story begins when she was working as a blackjack dealer in a small casino, earning her wage and picking up some tips but spending her spare time learning a technique known as ‘hand-mucking’. The skill essentially allows those that carry it out to swap a concealed card for a different one on the table, which obviously allows them to get up to all sorts of hi-jinx. Summers soon moved to Las Vegas and began using her perfected technique to take on the casinos, removing a card from play and then bringing it back out at a time that was to her advantage. Remarkably, she not only began bringing her own cards to the casinos so that she could simply swap out a poor hand for a better one, but she even swapped entire decks for ones that had been pre-loaded to give her a winning hand. Soon she began training up others to do the same thing, taking a commission of their winnings in return for her training. Arguably what makes the story of Summers taking on the casinos even more impressive is the fact that she did it during the 1950s and 1960s, at a time when the establishments were largely run by the mob. At the height of her scamming she was earning in excess of $100,000 per year. She was eventually caught when the casino owners and managers realised she was up to no good and they enlisted the help of the FBI to catch her in the act. Despite being caught, she never served any jail time and promptly disappeared from public life. Did she leave the country or did the mob eventually catch up with her? We’ll never know. No article on cheating the casinos would be complete without mentioning one so famous that it got turned into a film. The film took certainly liberties with the true story, but one that that is indisputable is the fact that a group of students and former students of the Massachusetts Institute of Technology and other leading colleges formed a team that was able to use card counting techniques to beat some of the world’s leading casinos. Whilst card counting isn’t illegal if it’s being done by one person, it is if it’s done using a machine or an accomplice. 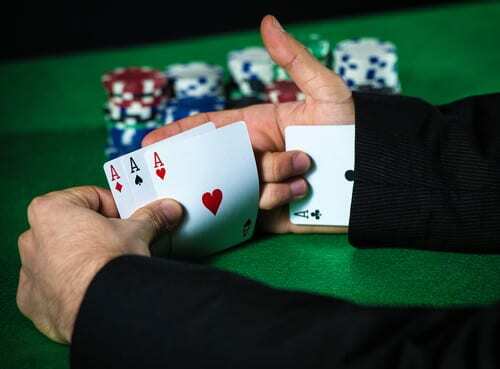 The MIT Blackjack Team used one player to count the cards and another to place the bets, who would do so after being given a signal from the ‘spotter’. 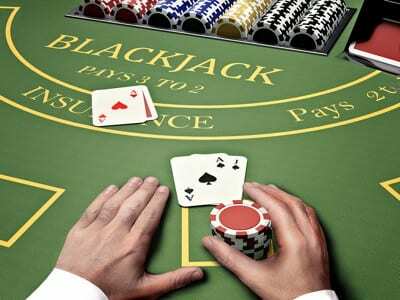 Even those who count cards without assistance will find that they are often informed they’re not allowed to play blackjack by the casino. As a result, Strategic Investments was dissolved in 1993 and many of the members of the team went their own way. As with Phil Ivey’s exploits on the baccarat table, whether or not the MIT Blackjack Team was barefaced cheating is a matter of some debate. Certainly all three examples in this piece saw people go into the casino with an advantage that the average punter didn’t have, which tipped the house slightly in their favour. If you knew someone in a casino had an advantage that you didn’t, would you report them to security or cheer them on? You can read more about the MIT Blackjack Team elsewhere on this site, including in both an article about people who beat the casinos and another looking at what’s happened to the members of the Team in the years since.